With its stunning seafront location, beautiful bridal suite and sophisticated boutique feel, The Dover Marina Hotel & Spa is a fantastic, unique Kent wedding venue. Providing the perfect backdrop to your big day, our unique 4* Victorian wedding venue offers elegant interiors, as well as fantastic views across Dover beach, Dove Castle and the magnificent White Cliffs. Our experienced Wedding Consultant will be on hand to take care of all aspects of your Dover wedding, ensuring you have a stress-free day with incredible memories to treasure forever. Our wedding packages have been designed to ensure that your wedding in Kent is as magical as possible, right down to the smallest detail. We can also create totally bespoke packages that deliver your unique vision for your big day. 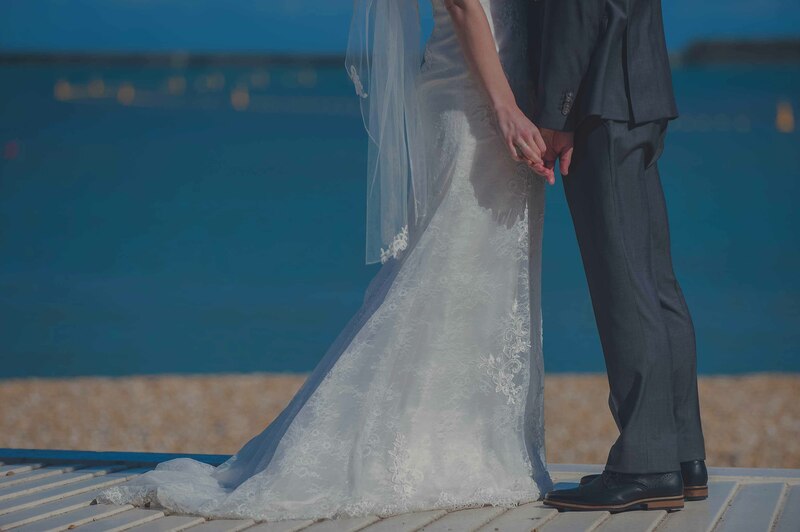 At the Dover Marina Hotel, you’ll find a number of beautifully styled rooms that are perfectly equipped to make your Kent wedding extra special. From intimate weddings in Dover to large weddings, we can accommodate up to 190 people. Once the wedding celebrations are over, you and your guests will be able to enjoy a fabulous night’s sleep in our beautiful rooms. Our luxurious bridal suite is the perfect place to relax, unwind and reflect on your wedding day in Kent. Your Kent wedding should be perfect in every way, including the food and drinks! Our skilled and experienced chefs have prepare delicious wedding menus that are sure to impress your guests. I would just like to say thank you so much for last Saturday and for accommodating our hen do party so amazingly! The service we received and the fact we were given our own room with decorations, plus the flexibility with allowing music (and supplying the speakers) in the evening really made the day extra special for everyone! You cater very well for an organiser who's strong point is not organisation (me) and who needs a bit of extra help! We are all very grateful to everyone involved and will be recommending you to all of our friends! I can say without doubt we would recommend anyone books a wedding here. Right at the beginning 12 months prior the service and support we have recieved has been outstanding. Every wist we had for our day has been granted and nothing was too much trouble for all the staff. A special mention to Sian (events coordinator), she was fantastic, she kept us both at ease right up to the last minute with all our requests. The day itself went without a hitch from the word go. Sian took control of everything. The food provided was outstanding and this was echoed by all of our guests. The room (bridal suite) was out of this world with a lovely view and every facility we needed. The restaurant for morning breakfast was also excellent with very helpful staff and food perfect. Don't be fooled by What people say about Dover. Stay at this hotel and experience the fine service and the fantastic staff, you won't be disappointed. For more information on our wedding packages, or to speak to our team about your dream wedding day, please contact us using our enquiry form.